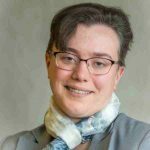 I’m a freelance writer, and met Judith Wester when we both attended a seminar on business development. We got talking, and she invited me to her class: Talking about Death & Loss in Healthy Ways – the first of its kind to be held in Wolverhampton. Since death is something that affects us all, I thought it would be useful to brush up my knowledge of how it is seen in different cultures. After all, my clients come from all sorts of places; and anyone can be bereaved. Before the day began I felt curious, but also detached. 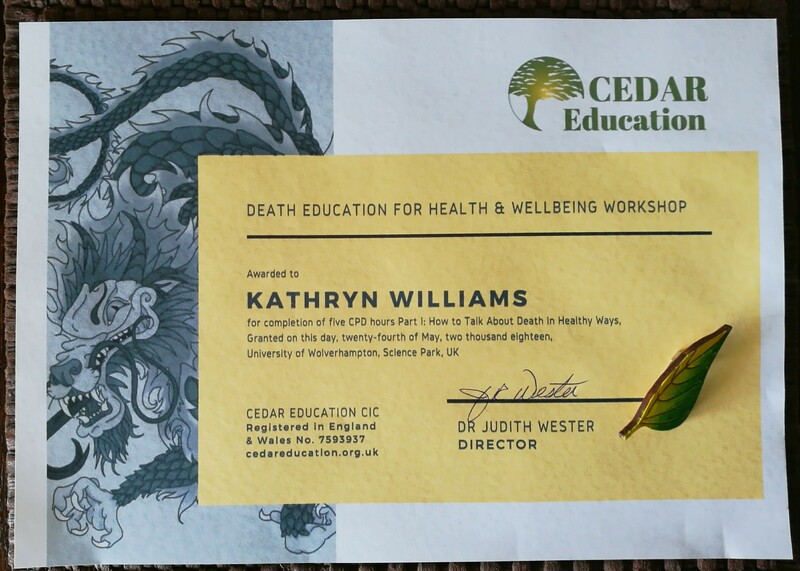 I have some second-hand medical knowledge, and firm religious views of my own, so while I was interested in what a class on death education might be like, I wasn’t really expecting to learn anything new. By the end of the day, my expectations had been turned on their head, along with some of the things I thought I knew. Judith herself is so friendly and personable that I was sure the day would be enjoyable no matter what, and I was not disappointed. The class was quite small, and discussion encouraged from the start, so that it was not so much a lecture as a group tutorial. The information was presented in interesting and memorable ways, using sight, sound, touch, and even smell to demonstrate various ideas. The morning session revolved around social and cultural models of death, as found around the world and throughout history. The afternoon included several short videos, containing information and personal experiences from a variety of professionals: morticians, paramedics, and others. There were also some very moving accounts of people who had been bereaved, and how they wished their friends, family, and colleagues had been able to talk to them about it. A recurring theme of the day was the importance of using ‘the d-words’ (death, dying and dead) in a matter-of-fact way; being able to discuss death openly, without the fear and embarrassment that has grown up around it in our society. The follow-up session, which I was unfortunately not able to attend this time, focuses more on the grief itself, and how to talk about it. However, Judith was keen to point out that CEDAR is not a grief-counselling charity. Rather, it seeks to educate all of us in the language of death, grief, and bereavement. How to talk to each other, and even to ourselves, about this universal experience. Final thoughts: This class is good, and thought-provoking. Even though I didn’t agree with everything that was presented, it certainly made me re-examine my position. Judith herself reminded us on the day that ‘The map is not the territory,’ and it’s OK to disagree, as long as you’re willing to discuss the issue. The class ended on a positive note, encouraging us to accept our own feelings, and those of others, as valid and permitted. The official certificate of attendance, and the beautiful ‘good grief’ leaf were just the icing on the cake. I look forward to getting the second half of this course soon, and recommend it without reserve.